Join us Thursday, April 25 from 2 - 3:30 pm or from 7 – 8:30 pm (special Conservation Cafe showing) for the surprises and delights of an inherited space that’s on the brink of its most gorgeous days. 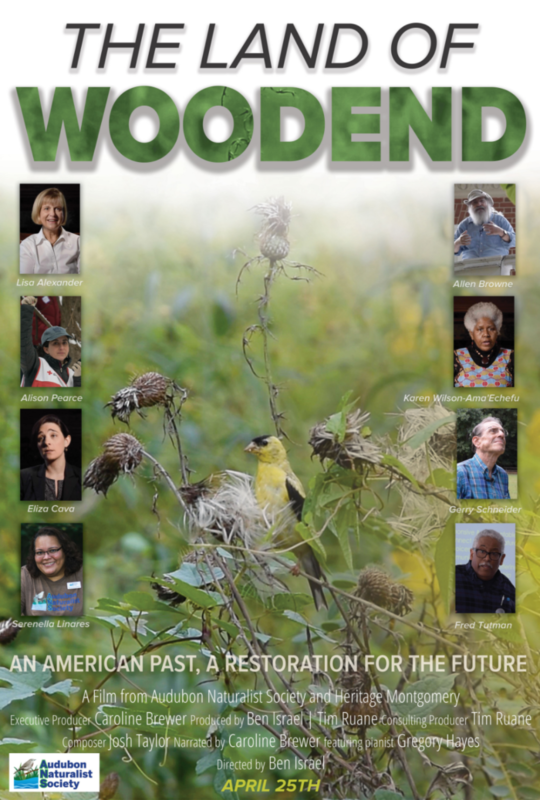 Join us Thursday, April 25 for the premiere of the Land of Woodend, an ANS and Heritage Montgomery documentary honoring the 50th Anniversary of Woodend Nature Sanctuary and the launch of our Nature for All movement. 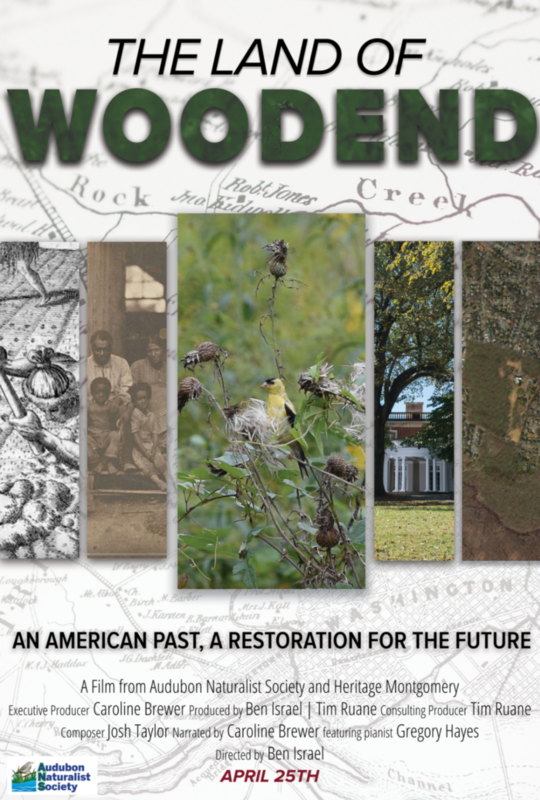 The Land of Woodend explores 400 years of history, mystery, beauty, blight, and transformation on the land that has been home to the environmental programs of the Audubon Naturalist Society for the past 50 years. 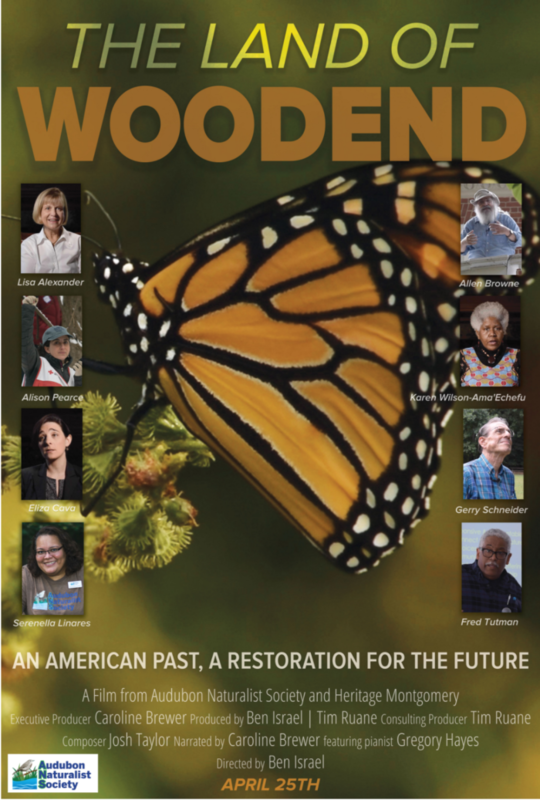 It reveals how we’re renewing habitats and strengthening ties to nature with the precious people of the DC region.